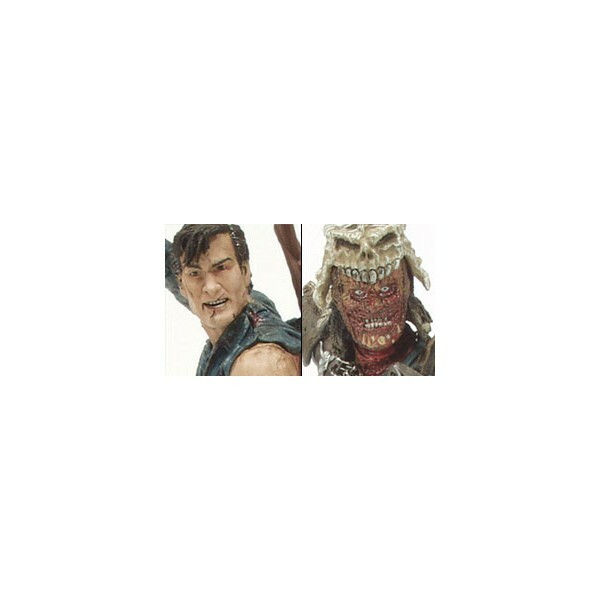 This is a continuation of Army of Darkness mini-series, featuring the characters fans of the film just can't get enough of. 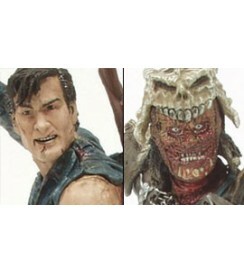 The original Ash action figure was released in Movie Maniacs Series 3; the original Evil Ash in Series 4. Ash has different paint detailing, most notably in the facial area. The new figure has less overall blood wash than the original. The Evil Ash figure has a slightly different paint application and now features a tattered cloth cape instead of the original molded cape. The new two-pack includes Evil Ash's two swords, which are now blood-splattered. It also includes the mechanical hand/interchangeable chainsaw for Ash, the pitchfork, mini-Ash, shotgun and the Book of the Dead.